When in Clark Freeport, make sure to try out the many wonderful restaurants that offer a fine selection of international cuisine. After our visits to El Kabayo and Puning Hot Spring, I brought the Qtube crew to C' Italian Dining for lunch. No doubt, this is the best Italian restaurant, if not the best restaurant in town! Of course, Chef Chris Locher served us their world famous panizza (these are pizza strips you roll with alfalfa and arugula), their homemade sausages, wood fire roasted chicken and pasta. Great selection indeed! If you want to taste the best of C' Italian Dining, join our Mothers' Day tour on May 9! 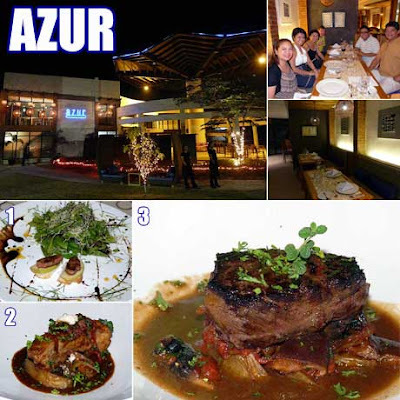 Anyway, for dinner we trooped to Azur Bistro and Bar, an up and coming restaurant and bar at Enclave along Friendship Highway. With me was Claude Tayag and Meng Tayag-McTavish who also wanted to try it out. Pampanga is really home to so many good restaurants! Each of us had something different. 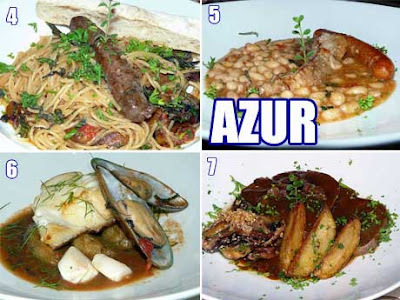 We ordered (1) Meat Pie Salad, (2) 6-hour Slow Cooked Pork, (3) U.S. Certified Angus Beef Onglet, (4) Lamb Sausage, Mushroom and Tomato Pasta, (5) Corned Pork, Sausage, Black Pudding and Cannellini Beans, (6) Chilean Sea Bass, and (7) Braised Ox Tongue, Mushrooms a Jillo. What a feast! Hi. Am Anne Castro and would like to request, if at all possible, to promote the international cooking and wine tour we have at the Clark Freeport. 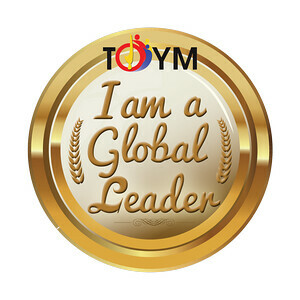 Would like my partner, Chef Philip Golding, the Vice President for Food & Beverage of Yats International in this project. Furthermore, could it also be possible to include Yats Restaurant and London Pub (in Mimosa, Clark Freeport) for the great and exotic food they offer. We can be reached at the following mobile numbers: 0927.718.8963 or 0917.817.9441 Hope to hear from you soonest. thanks to your web site, I knew where to dine when I visit Angeles and Clark. I went to C and it was as you said, very nice, at least for what it was. My impression is it is a family restaurant, good food, good service. 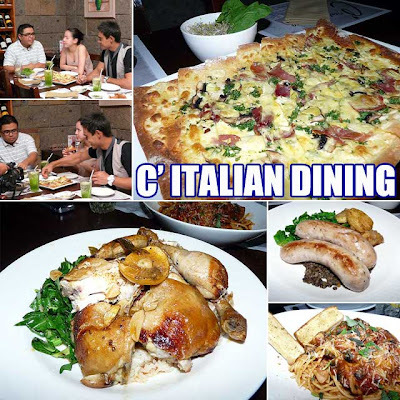 To me, it is in the class of a Friday's and Italianis which is no insult to C. I also went to Yats Restaurant inside Clark. I didn't know it was a real fine-dining restaurant. Somebody should have told me because it was nothing like C. This YATS place is a 5-star joint. Even in Manila, you can't find something of this calibre. Check out the wine cellars, awesome! I don't know what to say about this restaurant except if anyone went to Clark and didn't get to dine there, you'd miss out on something special. It was a bit expensive for me but it was a lot cheaper than dining in hotel restaurants here in Manila. I know Yats is nice too. But please stop posting your promotional comments. It's already obvious where this is all coming from. I'll visit Yats in due time. Let's not use this C' post to get people to your place.